A cornerstone of our customer relationship philosophy is reflected in the portfolio of products that we have compiled to represent our company. The principal objective of our sales team is to understand the individual needs of our clients and to tailor our proposals to your specific requirements. We offer detailed technical help together with emergency out of hours repair and maintenance support via a national network of service centres. Click on the Services tab for more information. We offer free mainland UK delivery on just about all our products, plus free installation/documentation and training where required. In extreme cases, unrelieved pressure points can result in patients suffering with bedsores, more properly known as decubitus ulcers. Our quality selection of surfaces (both mattresses and cushions) include alternating dynamic therapy systems, paediatric pressure relieving systems, pressure relieving static systems and cushion support systems. Our portfolio ranges from low-cost foam static mattresses and visco-elastic foam mattresses to 3-cell and 2-cell dynamic alternating pressure mattresses. Clinically proven and the most popular with NHS Trusts and PCTs our Select and Ola Series have been specifically designed to offer exceptional value for money whilst still being highly effective. All our mattresses’ internal air cells are manufactured from 100% polyurethane for optimum performance and longevity. Our Medley electrically operated profiling bed has been designed to guarantee the comfort, convenience and safety of both patient and carer. Representing excellent value for money and ease of use the Medley is one of the most popular beds in our range and can be moved and re-installed in various locations quickly and efficiently. Our suite of Hoists, Patient Lifters and Slings is unrivalled for quality, design, function and range. 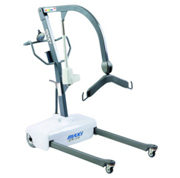 Our Kerry Equipment patient hoist range includes the world’s first multipurpose motorised patient lifter which has revolutionised the patient transfer system at the touch of a button. Versatile lifters have been specifically designed for all types of patient hoisting and transfers. 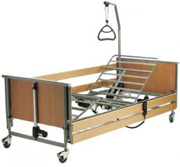 Our Reliant range is designed for home and residential use and has features that ensure comfort and safety during transfer and address carer needs in terms of function, reliability and manoeuvrability. All our hoists also include a free 6month LOLER test. All our slings are available in three sizes: Small, Medium and Large. 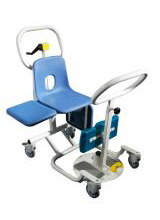 Our range of patient moving / manual handling equipment to ease the transit for both patients and carers. Brand products have been developed in collaboration with Healthcare professionals and therefore are made to the exacting and robust standards required to withstand continued use at institutional level ensuring safe, reliable and value for money products for all users.